To view our current range of properties TO LET and FOR SALE please see our portfolio below. Properties in all categories can be selected by sector and filtered further by location. 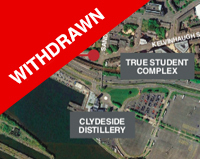 Prominent corner positioned development site within the heart of the Merchant City and lying on the periphery of Glasgow city Centre. The site lies opposite the famous 'Barras Market'. 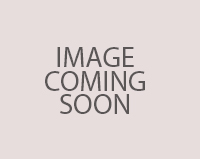 The site potentially forms part of a larger development site if ownerships out with our clients control can be acquired. 410 sq m (0.10 acre). Rent £20,000 pa. Price - contact the agent. The subjects comprise a corner positioned development site extending to 0.14 hectares (0.35 acres) and is broadly rectangular in shape and level. 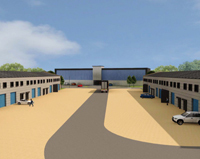 To be fully refurbished business park offices. Modern open plan accommodation, superbly located for M8, Airport, Glasgow and bus and rail connections. 3,000 to 30,000 sq ft. 93 dedicated car spaces. 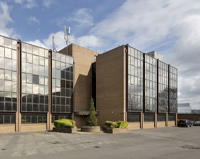 Spiersbridge Business Park is a modern development comprising office/warehouse units, high quality office pavilions and terrace industrial units all set in scenic woodland surroundings providing an ideal working environment. Units from 1,500 sq ft (140 sq m) to 31,000 sq ft (2,881 sq m). 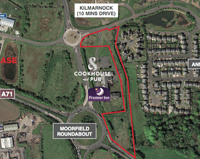 The subjects comprise a highly prominent development site at Moorfield Roundabout, occupying a busy location at the junction of the A71 and B7081, and lying approximately 3 miles south of Kilmarnock town centre. 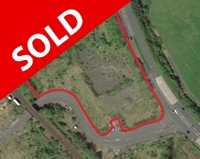 The development site occupies a prominent position fronting Greenock Road (A726) and being bounded to the north by the A737 dual carriageway flyover. 1.28 hectares (3.28 acres). The subjects comprise a level cleared site of approximately 0.45 acres. 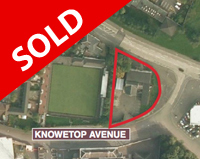 The site is accessible off Knowetop Avenue and the surrounding area is a mixture of private housing, Knowetop Primary School, private bowling green and Motherwell Football Club.